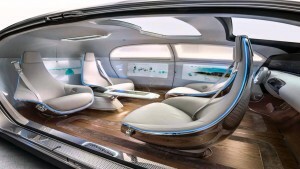 Are we ready for SDECs aka self-driving electric-cars? And how are they likely to change the way we live and work? In a word – profoundly! Culturally, we are experiencing a change no one would have predicted 10 years ago. Large numbers of millennials are not interested in owning a car. Many only value the utilitarian aspects of transportation. They are far more likely to use Uber or a Zipcar and not bother with the overhead of car ownership. In a little over 100 years, the American love affair with the car pinnacled, and now appears to be down shifting to a much lower gear. Self-driving cars are just over the horizon. Last week, a Tesla travelled in an auto-pilot mode across the entire USA in 57 hours! Self-parking cars have been around for a while, but now they are getting their real autonomous sea-legs. Google and even Uber are in this game full tilt. Uber is an interesting play. First they disrupted the entire taxi industry. Now they are poised to disrupt yet again, this time replacing their own Uber drivers with self-driving cars. Stealthily, Uber has launched one of the largest self-driving initiatives, and their CEO is determined to make this into a reality. Rumors are that Apple is working furiously on a self-driving project too. In a world with SDECs do I really need to even own a car? Many will elect not to do so. Some estimates show that we may have one third less vehicles on the road. Great for global warming, but terrible for car companies. With less cars sold, mega mergers will become more familiar. Get used to a Nissan-Mercedes or even the burial of entire brands just like we saw with the airlines. This will create turmoil in the job market – auto manufacturing employs a lot of people in the world. The insurance industry is shaking in their boots too. Car insurance is huge. Volvo just announced that if anyone has an accident in a self-driving Volvo, they will pick up the tab! Other car manufacturers will have to follow. So, now this change is going to disrupt the insurance business. And over time, self-driving cars are likely to be far safer. Truck drivers and even airline pilots should be concerned. They are next on the endangered species list. The first self-driving trucks are already on the roads in California. Our entire road and bridge system is built around gas taxes. With electric cars not needing any gas, how will we pay for these expensive infrastructure costs? Tire taxes? Windshield taxes? Horn Tax? And do we need as many parking garages if cars are not being parked and just sitting idle? I would want my SDEC, if I had one, to drop me to work and then join the Uber self-driving fleet to earn its own living. And what about the highway patrol? Speeding tickets for whom? Traffic courts will fall into history’s dustbin. Traffic lights – who needs them? Self-driving cars don’t need to “see” lights. And the gas stations. Another dying breed. Your car will drive to a charging station, charge itself and drive back to you. It doesn’t even need a gallon gulp drink or a day old hot dog at the convenience store. If you are not driving, what will you be doing in this SDEC? Prepare yourself for new found car productivity. More connectivity, more entertainment, extended office time, a kitchen (?) and more leisure time to do makeup…well, maybe not the last one – we do that already. And what about the oil states of the world who have made a pretty living from the fossil fuels we pour into our cars right now? With electric cars, oil demand drops. Geopolitics will shift. Entire regions of the world, will no longer be considered “vital to our security”. “Drill baby Drill!” and the Keystone pipeline may soon be forgotten. Yes, indeed, big changes are underway. You don’t need a driving license for a SDEC either. Another rite of passage will fall asunder. Unless of course you are one of the dangerous humans still attempting to drive in the high-toll high-insurance “For Human Drivers” lane. Is critical thinking being outsourced to Google? Imagine you are on a deserted island with no phone or other internet enabled device. You have never been to NYC. Now, if I asked you how many Thai restaurants are in NYC? How would you try and find that out? What considerations might be important to answer this question? “So, like, can I call someone who has a computer?” No, remember you don’t have a phone. “Hmm… can I walk to an internet cafe?” There are no cafes here. “My friend lived in NYC. I could ask her”. There is no post office or phone booth here to call her or send her mail from. Most never reach the point at which they actually begin to solve the problem.They are too busy trying to find out how they can get to someone who might get them to Google! 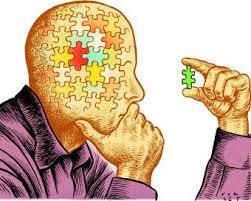 Critical thinking needs imagination, insight, and even thinking outside the box. What is far more common nowadays, is thinking “in the box” – which in this case, is the “box” in your pocket (your smartphone) or even in your hand (tablet). The next time you ask a Millennial a difficult question, notice how quickly they reach for their phones. The phone is an extension of their mind. Not tomorrow. Today. If Google can answer it – why should I know? I don’t need to know, because Google knows! That space in the head, and the critical skills which working a problem bring to the fore – may be under some threat. This should concern us. There are some really smart folks in Silicon Valley from this same generation who are inventing remarkable technology, and in turn are making this world a more connected and hence a more informed place – a better place. But there seems to be a large segment of that same generation which is just as comfortable outsourcing critical thinking to the smart devices which they own. Another manifestation of the same technology is a seeming lack of focus. Time is now being lived in very small segments as we multitask through a plethora of competing distractions. This is turn makes sustained focus on one issue much more difficult and is bordering on a lost art. We live in a time where everything important needs to be said in 140 characters or less, and then we move on. Some studies have shown that it can take us between 4-8 minutes before we can refocus after a distraction. More analysis and studies of these phenomenon will need to be done before any long term trends can be identified with any precision. Was a previous generation just as alarmed when calculators first became ubiquitous? Did they worry that math would become a lost art?